It seems as though just about everything at present has its own assigned, celebratory day – especially within the world of food and drink. Waffles, however, have become so popular that World Waffle Day is celebrated twice with each passing year. The first of these celebrations takes place on March 25th (this coming Friday) – having originated in Sweden as Våffeldagen, marking the first day of spring and thus an opportunity to indulge in a gluttonous feast of waffles. The other Waffle Day, conversely, began in the USA and falls on August 24th, the anniversary of the first US waffle iron’s patency, invented by Cornelius Swartwout of Troy in 1869. 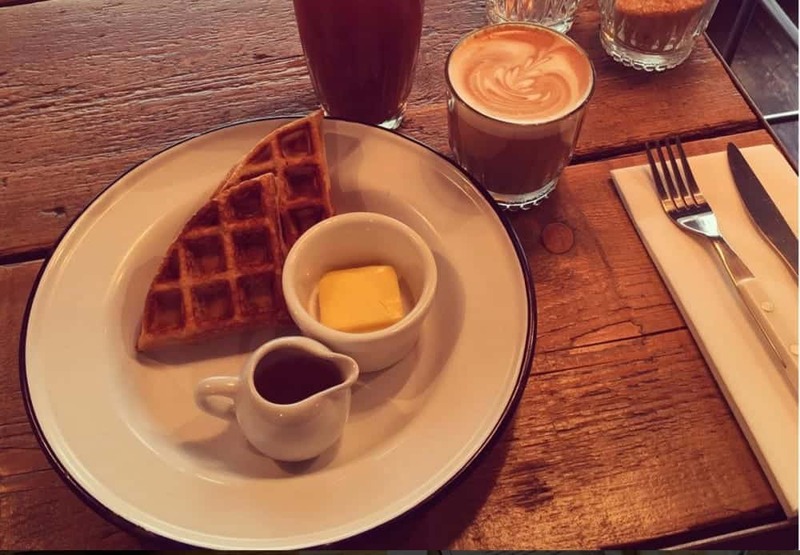 So, tying in with the first of the year’s two Waffle Days, this week, a buckwheat waffle recipe has been provided by Barnyard – another Fitzrovia restaurant from Chef Ollie Dabbous, owner of Michelin-starred Dabbous. Whisk together the eggs, milk and molasses, then whisk into the dry ingredients. Whisk in the butter to the mix. Beat until smooth, but no longer than necessary. Cook the waffle for 4mins in a hot oiled waffle griddle until lightly crisp on the outside and fluffy within. * You can replace the buckwheat flour with plain flour for a standard white waffle, to serve with berries and jams. This version lends itself to the maple syrup & smoked butter, with which it is served at Barnyard. Barnyard can be found at 18 Charlotte Street, London, W1T 2LY.